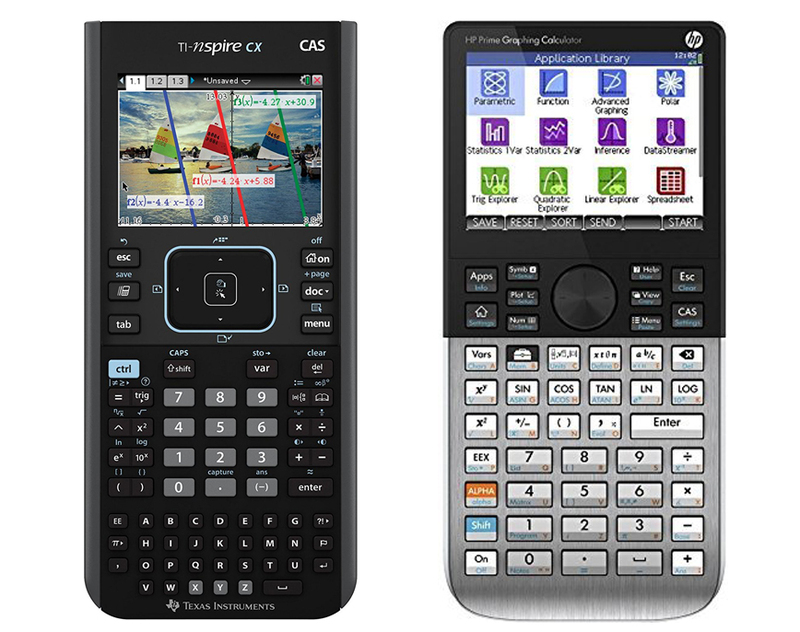 TI Nspire CX CAS and HP Prime are two popular graphing calculators in the market. Both of them comes packed with incredible usefulness and powerful enough to help you doing complex calculation. If you are interested in one of them, you may want to check our article first to help you decide which unit suit your preference the most. TI Nspire CX CAS is a graphic calculator from Texas Instruments. This calculator is currently one of Amazon best selling product in the category and probably the company most advanced calculator that is allowed in SAT. The CAS name in the unit is shorten of Computer Algebra System, which also a feature inside the calculator that you can use you handle many difficult task and those tedious work. It also comes with many other features, you won’t find in your regular calculator. From the outside, TI Nspire CX CAS already looks like a high tech device with a body made out of plastic in elegant black color. Unlike your average calculator, this one have a screen like an old colored screen phones. It has 320 x 240 screen in 125 DPI; 16 bit color, which will display you various colors. The keys layout is different from the most Texas Instrument layout with alphabet keys at the bottom and a rectangular navigation keys below the screen. As it has been said above, the TI Nspire CX CAS comes with many great abilities and let’s talk about the Computer Algebra System first. This feature is the highlight in this calculator an you can solve any equation from the calculate screen by typing “solve” and then in parentheses type in the equation continued with the variable you want to solve after coma. After you type the equation, you will be given the result. You may also do factoring and expanding polynomials as well as simplifying anything. 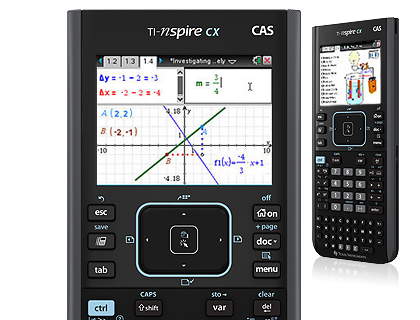 In the programming, TI Nspire CX CAS doesn’t work as good as its brother the TI 84 and TI 83. It also more tedious to do it in the unit. To do the programming, you can start with creating a new document and then you can start a new program or function inside that document. After this, the step is similar like in the TI 84 and TI 83. What you have to take notes is that the language slightly different in this one from the other two. The user interface itself is a little confusing if you are not used to it yet since almost all of your work will be within a document that separated from the rest of the apps you can find inside the calculator. When you want to use the app in the home screen, the calculator will ask you to create a new document and it will be specific for whatever app you choose and when you go into the document, you can access some of the features available but you won’t be able to use all of them at once. HP Prime is a graphic calculator from HP. This calculator may not as famous as the similar tool from Texas Instrument but it is certainly powerful enough to rival it. This one also allowed on most standardized test and what makes it stand out from its peers is the unit ease of use. Some people even said that the calculator able to do some of it features better than the current market leader CX CAS. HP Prime works just like any graphic calculator but comes packed with lot more power as well as capabilities. From the outside, HP Prime looks like your average graphing calculator and somehow resemble some types of older hand phone. The body is in combination of silver made out of brushed metal key layout and black material from above the keys covering the screen area. Key layout is simple and easy to understand and made slightly bumped forward at the middle, probably for better comfort when typing. The screen here is 16-bit color in 3.5 inches multi touch TFT screen with 320 x 240 pixels resolution. In the Computer Algebra System, HP Prime let you to do better than when using hand, such as factoring polynomials and expanding expressions with variables. It also able to simplify almost anything you want by simply typing them in and then press enter. The answer you will be getting are available in two options; the exact number answer and decimal by pressing Shift and Enter. However, the CAS is not as good as the rival CS CAS for it couldn’t simplify some trig identity when tested. For the programming, HP Prime is said to be better than CS CAS. With the unit you will be able to create advanced programs that can do more than just taking a few inputs and gives you the number. Another great thing on this calculator is the touch screen, which will makes it easier to use than the common trackpad or cursor option. When tested, the screen is quite responsive and has a good multi touch functionality that also great for graphing. The touch screen will allow you to use your finger to pan around the graph and look at the line, very similar to how Google Map works. You may also able to pinch the screen to zoom in right on the graph. Another great thing with this feature is the app-specific button bar that you can find in the bottom of the screen. 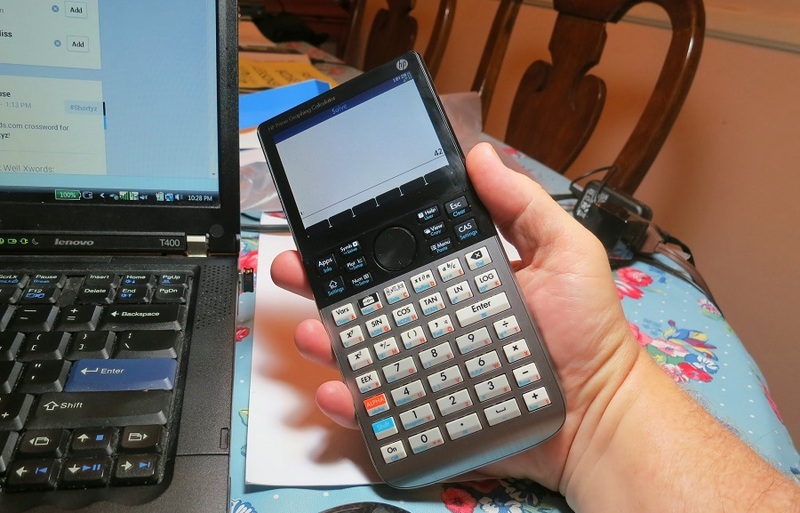 For another graphing calculator, go check or previous article on TI 84 Plus C vs TI 84 Plus here. Now, let’s compare TI Nspire CX CAS with HP Prime. As you may already know, both of these graphing calculator are equally powerful and on par in the market. What differ them is how good the calculators works in specific feature because TI Nspire CX CAS is better in Computer Algebra System while HP Prime is better in the programming side. Another difference is the touch screen that only available in HP Prime, which making it even easier to use compared to TI Nspire CX CAS. All in all, the decision is all yours to make. In our opinion, you should pick whichever you needed the most. If you want to use the CAS, you may want to go for TI Nspire CX CAS but in this article taking the comparison and price into consideration, we will highly recommend you HP Prime for its ease of use and better programming.